Not Verified | One of the worst airports. The smoking Roma is disgusting, a tiny cage where people have to wait to enter. Gates 26, 25 closed with glass doors where again you are cooped like an animal. The chairs are extremely uncomfortable for people like me who have a long wait. I'll never return to this airport. I haven't visited Poland and now I will not go there. Not Verified | Long waiting time from the Non-Schengen to Schengen destinations due to border control not following the “EU citizens” versus “All other passports” indicators. The passengers are mixed regardless their citizenship slowing down the waiting time for EU passengers. 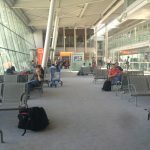 Seating areas in front of the gates (25, 26) are closed with a glass wall which did opened only 30 min before departure making the seating area useless. We had to stand in front of the glass doors for 1 hour and the seats on the other side pe the glass wall were empty. ✅ Trip Verified | Transit airport Warsaw. Security control before entering the Schengen zone, a crowd, and a big waste of time. Smoking room on the airport bottom floor, dirty with a queue outside. Incompetent staff, passenger is an intruder at this airport. 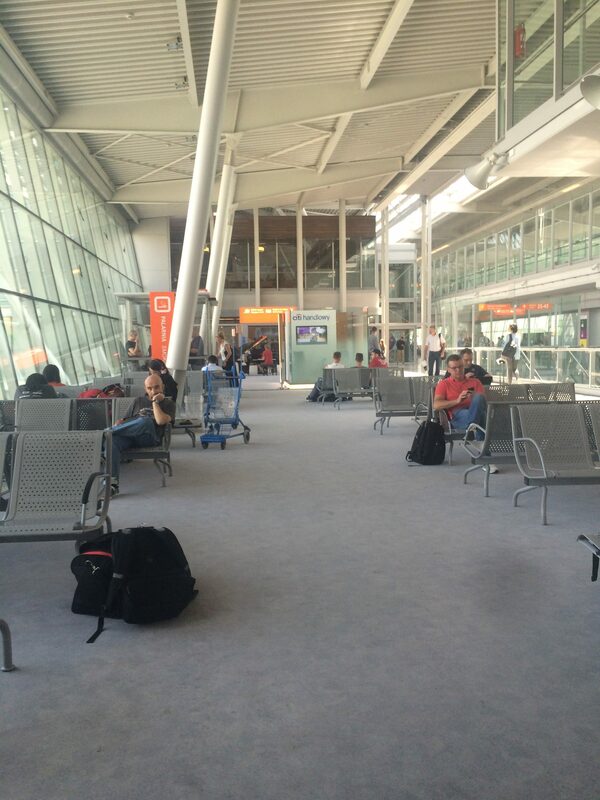 "I wont be coming back"
✅ Trip Verified | I had a 21 hour stopover at Warsaw Chopin Airport. They will not let you sleep on the seats or the floor on a mat. The airport guide says there are free showers next to McDonalds, I could not find them. I wont be coming back. ✅ Trip Verified | Very inefficient and unfriendly staff. Had a a delay of connecting flight on Christmas Day and had to run to the gate to catch the flight. I had to figure out myself where the gate is as there were no staff members around available for any kind of info. Staff at the gate peacefully told that it’s a final call and there’s no chance our luggage will be transferred on time. Will avoid this airport in the future. Not Verified | One of the worst airports I’ve been to. People at security can’t even smile. Security check is very detailed, even my earphones and laptop charger cables were considered as electronic, hence I had to take them out and put them on the tray. The VAT counter at outside departure was responding in a very rude way. Asking us to go to departure hall instead since we are bringing the goods in the cabin. In departure hall, VAT refund counter didn’t even display correctly, and we went from one end to other end just to find the VAT refund counter at the departure hall. "Nothing really stood out in this airport"
✅ Trip Verified | The airport is pretty small with only 1 terminal and about 30 gates. This made food choices limited. Customs arriving and departing went pretty quick. 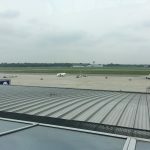 My flight (WAW-TXL) had 2 gate changes while we waited in addition to a 1-hour delay due to heavy fog and the late arrival of the previous plane. The airport was very wide and there aren't many moving sidewalks. Restrooms were pretty clean. Security had a slightly above average wait time. Signage was average and nothing special. Pretty clean terminal. Plenty of seats. Staff were not helpful in assisting with the gate change and the delay. Gates seem to close pretty quick as I saw a couple people missed their plane to Paris as I was waiting for my flight. I had to go through a secondary customs check which was nothing too special, they just swabbed my hands, shoes, and backpack for explosives and drugs. Large glass window overlooks airplanes and runways Wifi made me log in every 30 mins but worked. Pretty good seating. Nothing really stood out in this airport. Not Verified | As Schengen area is quite ok and even during rush hours you can find space to seat, eat etc. The non-Schengen area is a nightmare. Queues to passport control, queues everywhere. Space is so limited that you feel like sardines in a box. From non-Schengen big aircraft depart like B787 so accumulation of the people per m2 is really high. Security is so scrutinizing you and your stuff that I never observed that crazy detailed control in other countries. 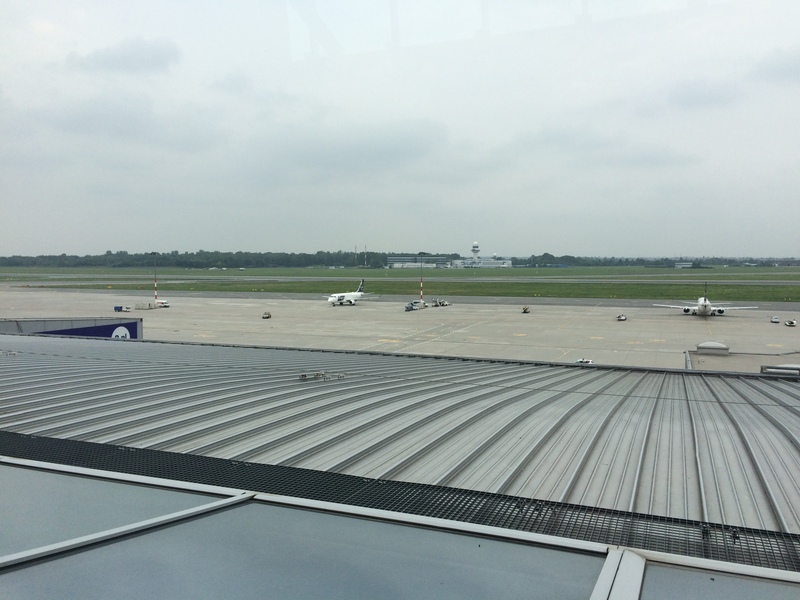 If you fly on long distances it better to get to Frankfurt or Munich and fly from there. "service: very slow, not friendly"
✅ Trip Verified | An airport with ambivalent impression. Infratsructure is quite above the average, service however is not that competitive. I was impressed by their luggage transit quality and very upset about their transit and security passenger Service: very slow, not friendly and poor English. ✅ Trip Verified | I live in Paris and work in Warsaw, therefore I am at WAW airport twice a week for the last few years. I love it. I have to admit I hardly ever change flights here as Warsaw is my destination, however I developed routine which brings from to the gates in 10 minutes every time I fly. Priority security gates are quick. There are several lounges in the airport and it is perfect in size. Not too small and not too big. I hate those airports where it takes ages to reach your gate (DXB). There is free WiFi and the only disturbing thing is the 7 minute slot for farewell as you drive your family to the terminal. Afher 7 minute you pay a hefty 30 PLN bill for another quarter of an hour.